If you have not been to a Dachshund Parade in the Washington Square Park, you're really missing out...This Saturday, May 10th, you'll get your chance to see and be a part of this fun and hilarious event put on in one of downtown Rochester's historic Parks! "Can you believe it -- the Rochester Dachshund Parade turns 13 this year. You could even say, 'We're not a kid anymore!' 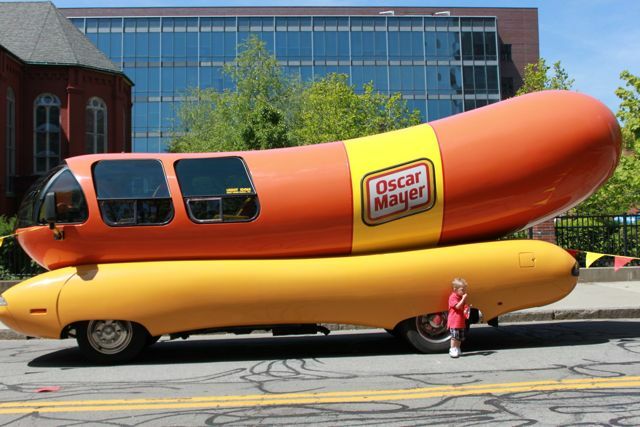 But all the kids are invited along with the moms and dads and grandparents to enjoy the magnificent sight of wiener dogs on parade in the heart of the city. It's been a long, cold, snowy winter, so come out and enjoy one of Rochester's rites of spring and the Parade's lucky 13th!" Provide education to dachshund owners about health issues. Support well managed breed rescue efforts. Give financial support to community organizations dedicated to relief of animal suffering. Celebrate the joy of the breed." Event is open to the public; good for children and adults; ONLY Dachshunds allowed at the park please!